DO Machining, when making sheet metal parts, it is necessary to do surface treatment for the parts, like powder coated, electroplated, anodized, etc. Because some of the sheet metal materials have no anti-rust, anti-corrosion function, so we should do surface treatment to avoid rust, corrosion effect. In addition, surface treatment can also beautify the appearance of the product. Galvanized: using electrolysis to form a uniform, dense, combined with a good metal or alloy deposition layer in the product surface. Chrome plating: the same principle with galvanized, chromium coating corrosion resistance is 7-10 times stronger than galvanized, and the surface is much more beautiful, but the cost is higher. Powder coated: powder is polarized, evenly attached to the opposite side of the product surface under the action of electric field force. It belongs to physical change. Static powder coated will not cause atmospheric pollution, the powder can be recycled to reduce the cost of materials, coating has good anti-acid, anti-alkali and anti-salt corrosion performance, the adhesion is higher as well. Electrophoresis: electrophoretic coating in the role of the anode and cathode, the charged coating ions move to the product surface form coating layer. It belongs to chemical change. Electrophoretic coating has the advantages of coating fullness, uniformity, smoothness, smoothness, the hardness, adhesion, corrosion resistance, impact performance and permeability are better than other coating process. Common electrophoretic color is black, and other colors are also available. Plastic dip: plastic dip is a new type of technology for metal surface corrosion treatment process, metal preheating, leaching, curing. In the leaching, the heated metal sticks around the material, the more heat the metal, the longer the leaching time, the thicker the material thickness. Plastic dip has a rich color, good protection, excellent cold insulation and anti-acid and alkali. 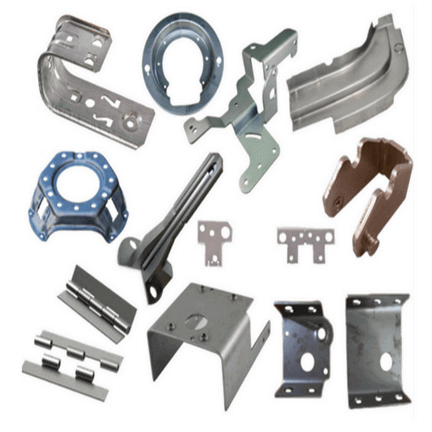 We offer CNC Machining, Metal Stamping, Metal fabrication services, if you have project need support, contact us today.